Carol is retired from the St. Tammany Sheriff’s Office, where she held several positions during her 20 year career, the last being Manager of the Tax and Civil office in Slidell. 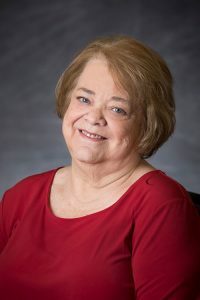 She is an active member of the Slidell Women’s Civic Club, and through that membership, has helped many other organizations in Slidell. Carol has also helped to produce the Krewe of Slidellians Parade for the past 5 years, first as a lieutenant and most recently as the parade captain. Carol is a native of Slidell, and still lives here with her husband James. They have three children and eight grandchildren, ranging in age from six to 22 years old. She feels that there is nothing more rewarding than working for the good of the community.